For the past Prime Minister of the United Kingdom, see John Major. A triple-threat tailback at the University of Tennessee, one of the last schools to use the single-wing rather than some version of the T formation, Majors was an All-American and runner-up for the Heisman Trophy in 1956. Majors lost the Heisman Trophy to Paul Hornung, who starred for Notre Dame, which had a losing record (2–8). To date, this is the only time the Heisman Trophy has been awarded to a player on a losing team. Many fans of college football, particularly Tennessee fans, believe that Hornung won the Heisman because he played for the storied Notre Dame program, although Hornung did lead his team in passing, rushing, scoring, kickoff and punt returns, punting, and passes broken up and was second in interceptions and tackles made. Majors was the 24th head football coach for the Iowa State University Cyclones located in Ames, Iowa and he held that position for five seasons, from 1968 until 1972. His career coaching record at Iowa state was 24–30–1. Majors ranks seventh at Iowa State in total wins and 16th in winning percentage. 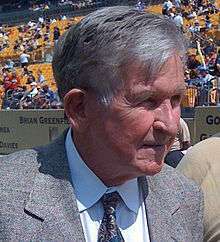 After Iowa State, Majors found his greatest success as coach of the University of Pittsburgh Panthers in 1973. In Pittsburgh he recruited such greats as Heisman Trophy winner Tony Dorsett and Matt Cavanaugh, among others. The Panthers won the national title in 1976, after which Majors went back to his alma mater. Majors also received National Coach of the Year honors for that season. At Tennessee, Majors achieved success in the 1980s and early 1990s winning three SEC championships (in 1985, 1989, and 1990), but falling short of a national title. In 1989, the Majors-led Vols followed a 5–6 season with an 11–1 season, the largest turnaround of the year. Majors was forced to resign as Tennessee's football coach during the closing weeks of the 1992 football season. The Vols racked up a 3–0 record under interim coach Phillip Fulmer, a longtime Majors assistant, who steered the team while Majors was recovering from heart surgery. After the Vols went 2–3 following Majors' return, he suddenly was asked to resign during the week leading up to Tennessee's game at Memphis State. A Knoxville News Sentinel story reported that while Majors was recuperating from heart surgery Fulmer allegedly exchanged 26 telephone calls with Tennessee Athletics Board member Bill Johnson, who had played with Majors in the mid-1950s at Tennessee. A strong contingent within the Tennessee fan base believes that Majors was pushed out due to behind the scenes maneuvering on the part of Fulmer, Johnson, athletics director Doug Dickey and university president Joe Johnson. Other fans believe that Majors created his own problems in the summer of 1992 by, among other things, complaining about his current contract during a preseason publicity tour across the state. Many speculate it was likely a combination of all circumstances. After being forced to resign at Tennessee, he returned to his second home of the University of Pittsburgh to once again coach the Panthers. Throughout the mid-1990s Majors tried to recreate the magic of 1976 at Pitt but achieved little success. He retired from coaching following the 1996 NCAA season and served at Pitt in the position of Special Assistant to the Athletic Director and Chancellor until the summer of 2007. A room on the second floor of the Pittsburgh Athletic Association adjacent to Pitt's campus is dedicated to him and displays memorabilia from his career. Majors now resides in Knoxville, Tennessee with his wife Mary Lynn. Knoxville named a street after Majors. The street is on the campus of the University of Tennessee and is the location of the school's practice facility. Actor Lee Majors borrowed Majors' last name to form his stage name. According to one published account, Lee, whose real name is Harvey Lee Yeary, met Majors in his youth while Majors was a football player at Tennessee, and they became friends. The two are not actually related, although Lee Majors was regularly seen on the sidelines during Johnny Majors' first tenure at Pittsburgh and during the early days at Tennessee. ↑ NorCalVol. "20 Years Ago in Big Orange Country: The season when one legend replaced another". Rocky Top Talk. ↑ "Tales from the Pitt Panthers". google.com. ↑ Jack Neely, "The Big Orange Screen: How Have the Vols Fared in Hollywood?" Metro Pulse, 27 August 2014. Accessed at the Internet Archive, 5 October 2015.